But Labor says there is still "unfinished business" on the issue. 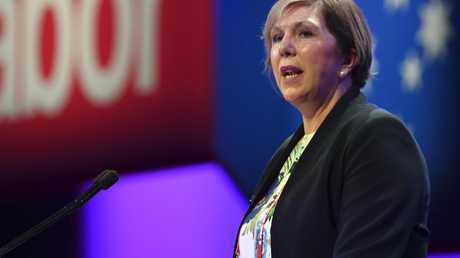 "Since we last met, Labor state and territory governments have made significant progress on access to sexual and reproductive health care across Australia," Shadow Health Minister Catherine King told delegates at the ALP national conference in Adelaide today. "Queensland has decriminalised abortion. 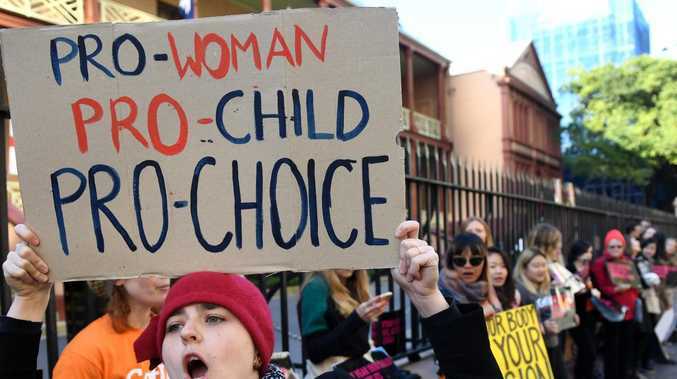 The Northern Territory has amended its laws to enable medical termination of pregnancy and overhauled its abortion laws. 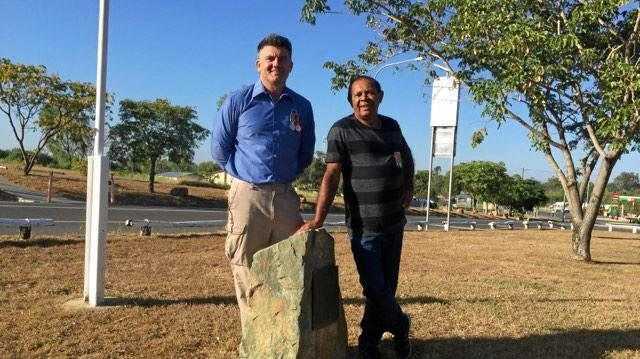 New South Wales has introduced safe access zones to protect patients and staff through a Labor Private Member's Bill. "The ACT has amended its laws to enable medical termination. Victoria has introduced a Women's Reproductive Health Strategy. And Tasmanian Labor has campaigned on the closure of the state's only abortion clinic. "But there is clearly more to be done." "Abortion remains a crime in New South Wales, impacting a third of Australian women. And here in South Australia, a woman can still be charged for obtaining an 'unlawful' abortion," she said. Under current NSW law, abortion is only legal if a doctor decides a woman's physical or mental health is at risk. That does include some consideration of social and economic factors. Ms King said Labor would push to end the "patchwork of inconsistent laws" on abortion across the country, should it win government. "It commits us to developing a national sexual and reproductive health strategy for all Australians, including reviewing the availability of sexual and reproductive health services. "And it commits us to working with the states to improve the accessibility, legality and affordability of both surgical and medical terminations across Australia, including full decriminalisation and better provision of abortion in public hospitals," Ms King said. "It makes it clear that we believe legal, safe, affordable and accessible abortion is fundamental to social and economic equality. "It sets out our vision for fully funded and universal access to surgical and medical abortion. "And it makes clear that a Shorten Labor Government will use commonwealth and state funding agreements to secure safe, affordable, accessible abortion across Australia." It isn't as simple as decriminalising abortion in the remaining states. One of the biggest problems is women's lack of access to affordable abortion procedures. And that's if you are lucky enough to live in a major city, where abortion services are relatively plentiful. Australians who live in regional areas often find they have to travel to a city and stay overnight to access services. "Two in three women need financial assistance and have to miss paying bills and cut back on food to afford their termination," Ms King said. The conference's morning session also dealt with another issue that affects millions of women - the gender pay gap. The conference also debated the gender pay gap. This table from the WGEA report shows which industries have the worst gaps. "We don't need to compare female dominated jobs with male dominated jobs to know that female dominated industries are often poorly paid. That's just a fact," Bill Shorten, Tanya Plibersek and Brendan O'Connor said in a statement this morning. "These reforms are an important part of Labor's plan to close the gender pay gap." Last month the Workplace Gender Equality Agency released a new report detailing Australia's progress on addressing the pay gap. It contained some good news. 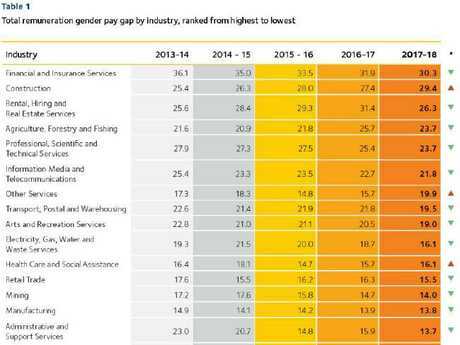 However the report concluded there was still a gender pay gap in "every industry and occupation", with no exceptions. The gap was widest in the financial and insurance services industry, with an average difference of $48,884 between men and women's total remuneration. If you're a woman working in real estate, construction, science, telecommunications or agriculture, chances are you are being severely undervalued as well. "I think part of the issue is that because they think they are a female-dominated industry, they don't need to do anything, and that is absolutely wrong," WGEA Director Libby Lyons told Channel 9. "They need to recognise they have far too many men in management positions. They also need to recognise they need to get more men in the lower paying caring roles where men can actually have very rewarding and sustainable careers." That is the problem Labor's new policy seeks to address. "I welcome the fact that Labor is finally starting to focus on women's economic security. They have a lot of catching up to do," Minister for Women Kelly O'Dwyer said.